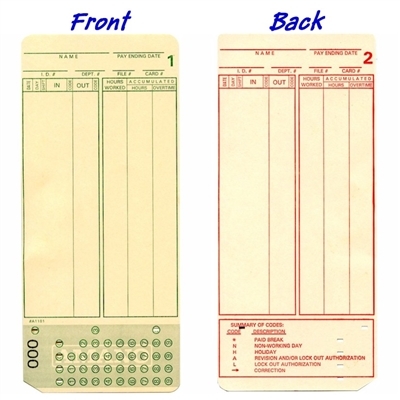 Time Cards- Select from over 401 time card styles. Standard time card stock used is 150 lb. manila tag, printed with green ink. Amano MJR7000 timecards are printed on 99 lb. manila tag. Cards for the Acroprint ES1000, and Lathem 7000e are printed on 175# tag stock. All timecards are rotary cut for accuracy. Colored stock, colored inks, custom time cards also available. Call regarding quantity discounts. Find several Daily Time & Job Tickets with 3-part carbon with peel and sticks. 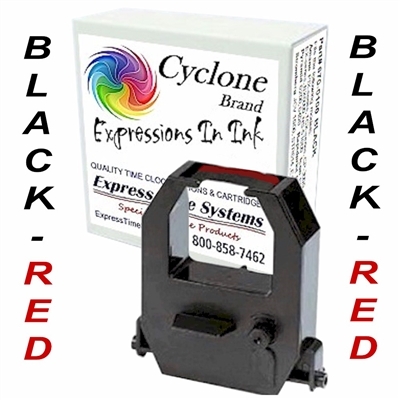 Time clock ribbons and ink ribbon cartridges for time recorders from Acroprint, Amano, Amano Cincinnati, Lathem, Pyramid, Rapidprint, Royal, Simplex, Stromberg, Widmer and more. We offer only the finest quality replacement ribbons and cartridges from ISO certified manufactures or OEM equivalents . Many time clock ribbons are available in a choice of colors. Time clock ribbons are offered and priced individually with discounts available when buying 2 or more. Keep your medical charts and files handy with these attractive Steel Single-Pocket Wall File Pockets available in 13 colors and six stylish designs . But don't miss our Oak Medical Chart Holders and File Racks. 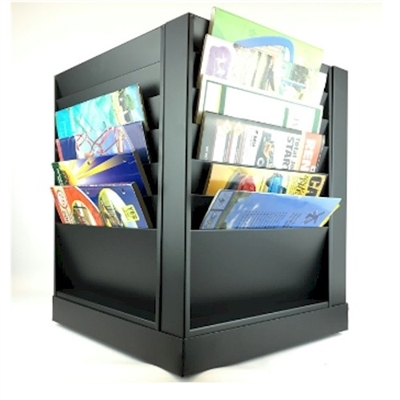 These wall mount file holders are constructed with solid oak sides with a durable state-of-the-art finish. Chart rack pockets are 12-1/2" wide. The four, seven, and ten pocket chart holders offer 3/4" deep pockets, while the three and five pocket chart racks offer a deeper 1-1/4" pocket for thicker files and medical charts. Want a bit more style? A variety of Letter Size, Legal, File & Special Size Racks for literature, work repair orders, service repair forms, brochures, job tickets, file folders, and other forms are also available. Space -saving wall mount design. Automotive Key-Hook Racks keep paperwork and car keys together. Choose from 13 colors to match your decor or to group projects or tasks by color. All metal construction with a durable powder-coat finish. Each of these multi-purpose racks offer quantity discount pricing and most metal racks offer combined product group discounts as well. Oak racks and displays for magazines, brochures, charts, files, and literature. Many sizes of wall mount Literature Displays , oak and acrylic Magazine Displays, and oak Magazine Racks. Several Revolving Displays for magazines and brochures are among the offerings here. Most styles are also available as Free Standing units, gathered here for your convenience.. Choice of light oak, medium oak, or mahogany finish. For use by business, schools, churches, government, medical offices, professional offices, hotels, and other buildings where fine furnishings are a must. Solid oak sides with oak veneer backings, some with clear acrylic panels. Most ship fully assembled or with minor leg or foot attachment required. 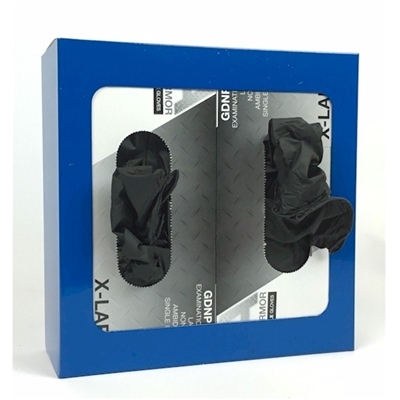 Gloves Box Dispensers to fit from one to four boxes of medical exam gloves or other latex and non-latex gloves or standard tissue boxes.. Accommodate up to four sizes or type of gloves in one holder. Top or side loading models depending on mounting position. 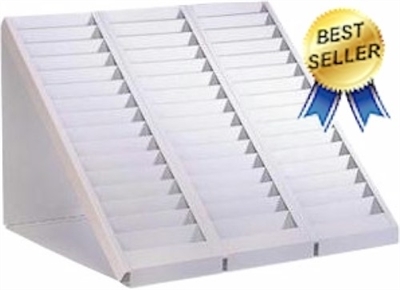 These racks accommodate most brands and sizes of gloves and standard sized tissue boxes. Available in oak or powder-coated steel. All Oak Glove Box Racks are constructed of 3/4" solid oak sides and bottoms with 1/4" laminate front panels are available in three finishes. Powder-Coated Steel Glove Box Holders are available in your choice of 13 colors, two sizes in single, double, or triple box holders. Your Reception Room Furniture creates a lasting first impression for clients and guests. 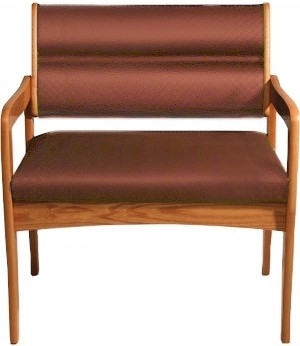 Make it a great impression with stylish, affordable, and comfortable Oak Seating and Tables. Attractive, efficient seating conveys an atmosphere of trust and comfort for lobbies, offices, waiting rooms or reception areas. Strong, standard leg and sled based chairs are constructed of 1" solid oak and offered in heavy duty fabrics to provide years of service. Even a line of Benches is offered in the same solid oak and quality fabrics. Don't miss out Bariatric Chairs that are extra wide and hold up to 800 lbs. Time Card Holder Racks in a variety of sizes to fit most time cards. These all metal time card holders feature a durable powder coat finish available in 13 attractive colors. 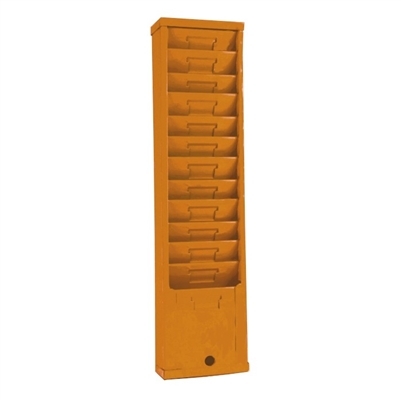 Lockable security time card rack cabinets keep timecards secure while not in use. For credit card size time cards and ID card holders please see ID Badge Racks. Each rack offers quantity discount pricing and most metal racks offer combined product group discounts as well. Wall Mount Swipe Card ID Badge Racks feature metal construction, in sizes to fit standard credit cards size badges and other popular sizes of employee badges. 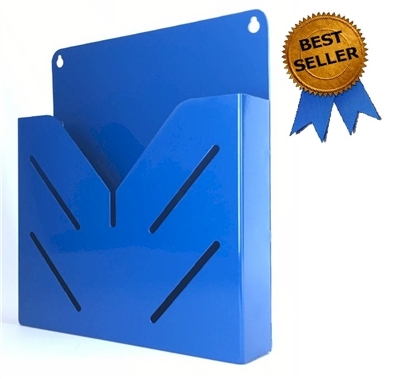 Our ID card racks offer a durable powder-coat finish available in 13 attractive colors and Stainless Steel. Swipe Badge racks for vertical or horizontal printed ID cards as well as special locking Security Badge Racks and Desk Mount Badge Racks models are offered. Most steel racks offer combined product group discounts as well. Can't find the ideal rack size? Custom Metal Rack Manufacturing is quicker than you might think! 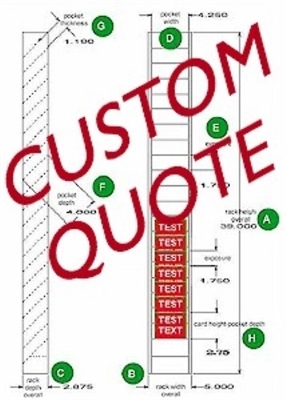 A quote generally takes just one business day or less for pocket thicknesses under 0.75". Fabrication takes 14 to 35 days or less depending on dimensions, and quantity ordered. Prices run 10% to 200% higher than standard racks of a comparable size, depending on quantity ordered. So, compromising on a "standard rack" may be the more economical answer for your application if you need only a couple of racks. The Ultimate OTP, Two 190H Racks Welded Together Forever! Our Liberty series ID badge racks fit landscape style cards up to 3-11/16" wide. The variety of applications are numerous ranging from simply holding employee ID cards nearby the time clock, security badges, storage of name badges for church members, or to hold credit cards in bar or restaurant for your tab. The Liberty series is our most economical on a price-per-slot basis. Constructed from heavy-duty steel, then coated in a durable baked-on finish. Available in 13 colors to match your decor, group employees, or just brighten up your world. Measure Twice, Cut Once! In Others Words Check My Dimensions Closely! Organize your office folders near you for quick and easy access. Easily wall mounted with two pear-shaped holes at top and bottom. Floating pocket design allows for thicker file folders to be stored in the bottom and middle pockets This does however take away from the pockets storage capacity and exposure above the thicker forms, but gives the rack added storage versatility. Don't miss out on the extra "Bonus" pocket at the top of the rack, as it has the highest storage capacity of any other pockets. The durable baked-on powder-coat finish is available in 13 colors Color: Gray, Black, White, Ivory, Almond, Sepia, Brown, Red, Orange, Yellow, Green, Blue, Fluorescent Yellow. Match your office decor or choose an attention getting color. Organize your office legal size document files near you for quick and easy access. Easily wall mounted with two pear-shaped holes each at top and bottom. Floating pocket design allows for thicker folders to be stored in the bottom and middle pockets This does however take away from the pockets storage capacity and exposure above the thicker forms, but gives the rack added storage versatility. Don't miss out on the extra "Bonus" pocket at the top of the rack, as it has the highest document storage capacity of any other pockets. The durable baked-on powder-coat finish is available in 13 colors Color: Gray, Black, White, Ivory, Almond, Sepia, Brown, Red, Orange, Yellow, Green, Blue, Fluorescent Yellow. Match your office decor, choose an attention getting color, or colors to sort a project's progress. Card measures 3.375" x 7.25". Bar coded 1 thru 100.